Konstantin Kryzhitsky – Zaporozhye Museum of Art. Хутор в Малороссии/Small Village in Little Russia. Date: 1884. Materials: oil on canvas. Dimensions: ? Source: http://commons.wikimedia.org/wiki/File:KonstantinKryzhitsky_HutorVMalorossii_1884.jpg. I have changed the light and the contrast of the original photo. This entry was posted on February 21, 2014 by adfarga. 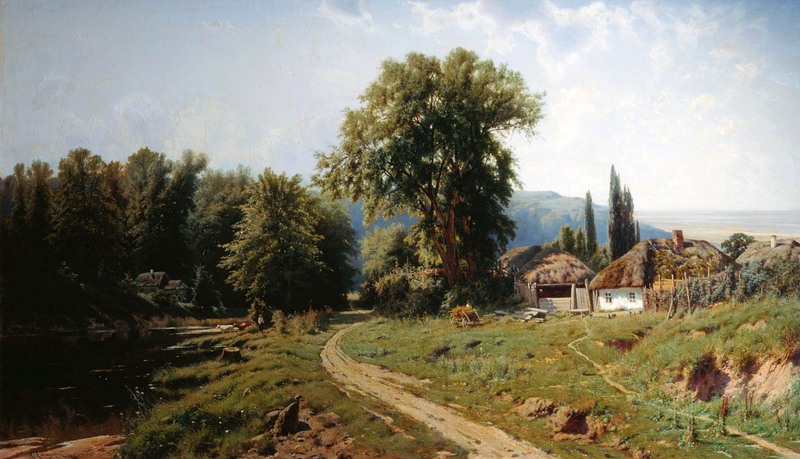 It was filed under Konstantin Kryzhitsky, Zaporozhye Museum of Art and was tagged with Konstantin Kryzhitsky.